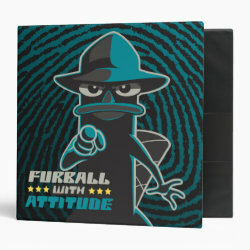 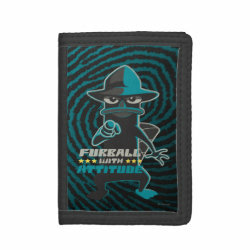 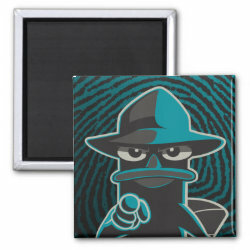 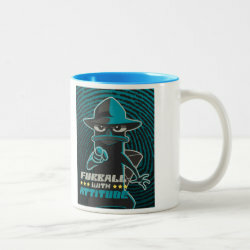 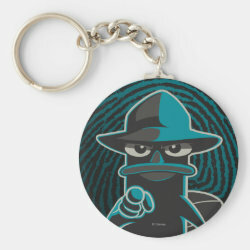 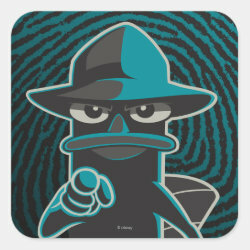 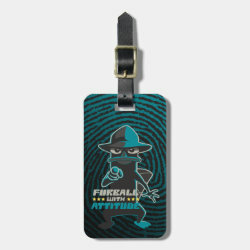 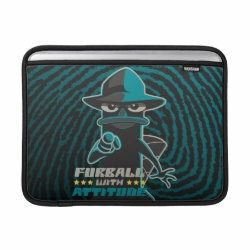 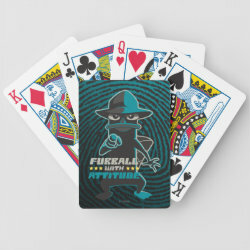 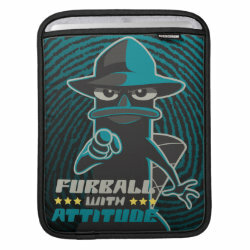 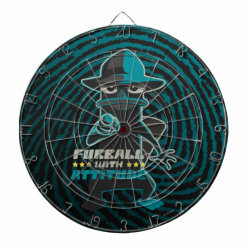 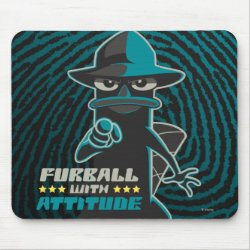 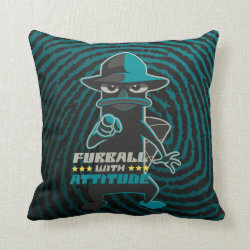 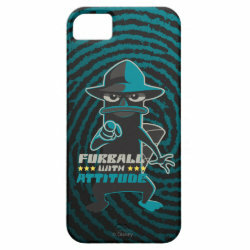 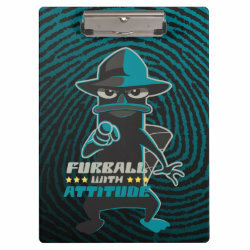 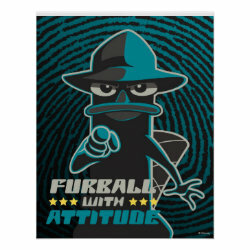 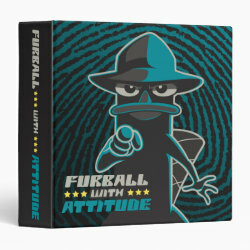 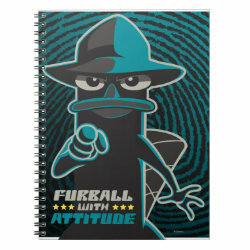 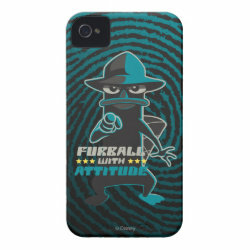 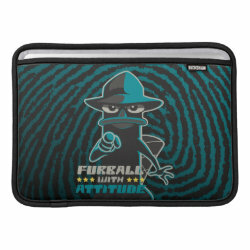 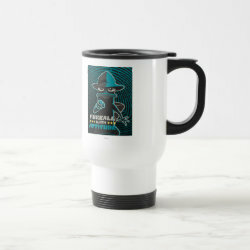 This cool design of Disney's hit animated TV show Phineas and Ferb shows Agent P, or Perry the Platypus of Phineas and Ferb, pointing at More... you with the text "Furball with Attitude". 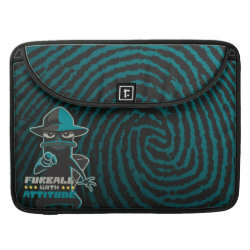 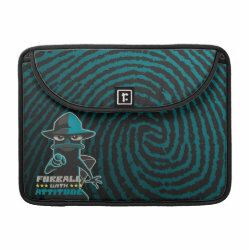 The funny design is available on posters, electronics sleeves, binders, phone cases and more. 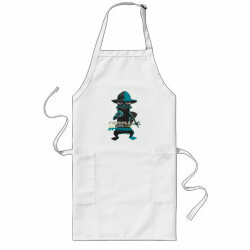 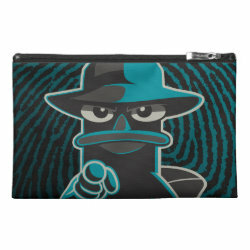 Great gifts here for fans of Agent P and this great series from the Disney Channel.